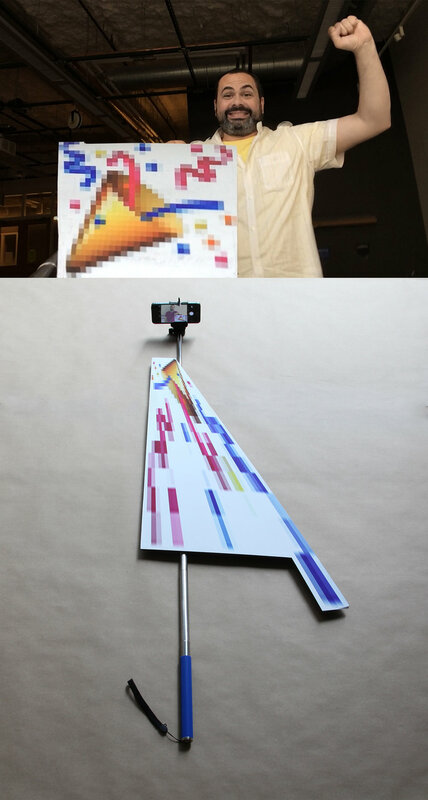 Using principles of anamorphosis—obliquely distorted perspective—the printed graphics are applied to the selfie stick. The smartphone camera is the only vantage point capable of decoding the image, inserting a graphic into your selfie. Skull as memento mori, a reminder of mortality.